Caregivers’ ability to identify infant cues plays a crucial role in child development, enabling attuned and responsive caregiving that serves as the basis for secure attachment. 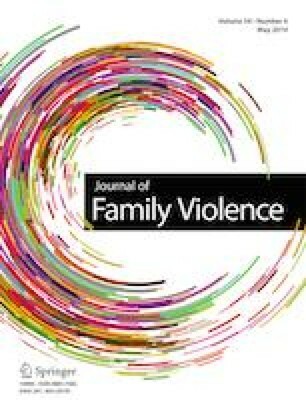 At the same time, exposure to interpersonal violence (IPV) could alter mothers’ interpretations of social stimuli and interfere with normative parent-child interactional processes. The current study examined four interrelated hypotheses. The first two hypotheses test whether IPV-exposed mothers show bias toward fear or anger in interpreting infants’ facial expressions, and whether this bias is related to child symptoms. Our second set of hypotheses examines whether bias can be changed by Child-Parent Psychotherapy (CPP) and whether this change mediates treatment gains. 113 IPV-exposed mothers of 2 to 6 year old children completed the I FEEL picture task at baseline and again twelve months later. In the interim, 33 mothers were randomized into a treatment comparison group and the remainder received CPP. Analyses revealed that IPV-exposed mothers exhibit a perceptual bias toward fear, but not anger. Bias toward fear was linked to greater child internalizing symptoms while bias toward anger was linked to greater child externalizing symptoms. Participation in CPP resulted in decreased bias toward fearful faces. The treatment-related changes in mothers’ perceptions of children’s facial expression did not emerge as the mechanism by which CPP reduces children’s symptoms. These results suggest that exposure to IPV alters mothers’ ability to interpret infant facial expressions and that CPP is effective in reducing such biases. This research was supported by the National Institute of Mental Health (grant R21 MH59,661) and by the Irving Harris Foundation. All research was approved by University of California, San Francisco’s Committee for the Protection of Human Subjects. We express our deepest gratitude to the mothers and children who participated in this study, the clinicians who cared for them, and the many research assistants who assisted on this project. Dayton, C. J., Huth-Bocks, A. C., & Busuito, A. (2016). The influence of interpersonal aggression on maternal perceptions of infant emotions: Associations with early parenting quality. Emotion, 16(4), 436–448. https://doi.org/10.1037/emo0000114. Gotlib, I. H., Krasnoperova, E., Yue, D. N., & Joormann, J. (2004). Attentional biases for negative interpersonal stimuli in clinical depression. Journal of Abnormal Psychology, 113, 121–135. https://doi.org/10.1037/0021-843x.113.1.121. Pearson, R. M., O’Mahen, H., Burns, A., Bennert, K., Shepherd, C., Baxter, H. … Evans, J. (2013). The normalisation of disrupted attentional processing of infant distress in depressed pregnant women following cognitive Behavioural therapy. Journal of Affective Disorders, 145, 208–213. https://doi.org/10.1016/j.jad.2012.07.033. Stein, A., Arteche, A., Lehtonen, A., Craske, M., Harvey, A., Counsell, N., & Murray, L. (2010). Interpretation of infant facial expression in the context of maternal postnatal depression. Infant Behavior and Development, 33, 273–278. https://doi.org/10.1016/j.infbeh.2010.03.002.